Teach your students the days of the week and month in Spanish! 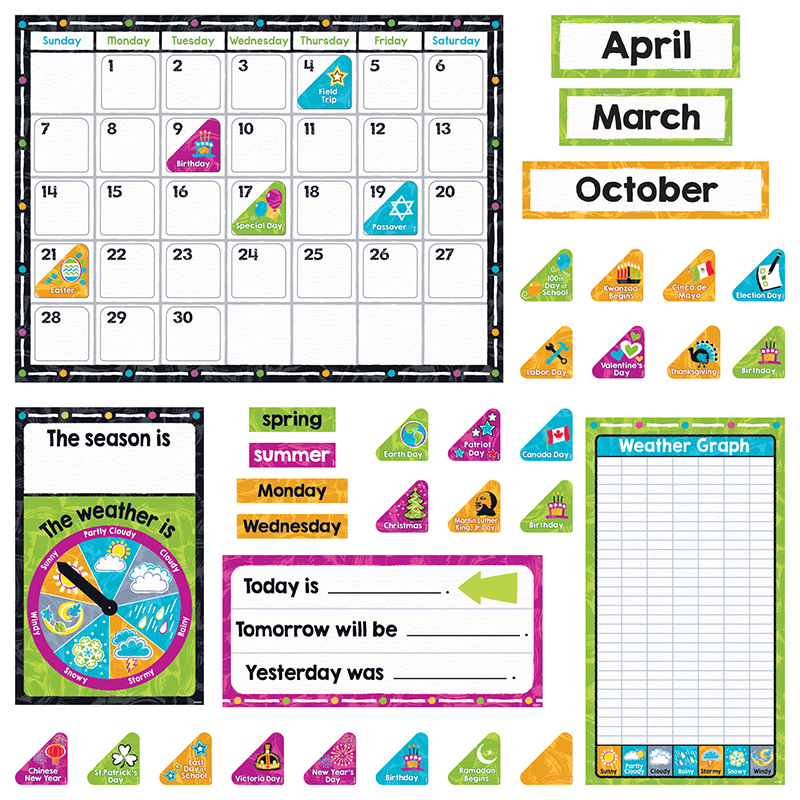 Each 83 piece set includes: 1 Giant Calendar (34"x24"), 12 Month Headings, 33 Dates, 37 Special Day markers. Packaged as (4) 17" x 24" panels. Coordinates with the Color My World collection. 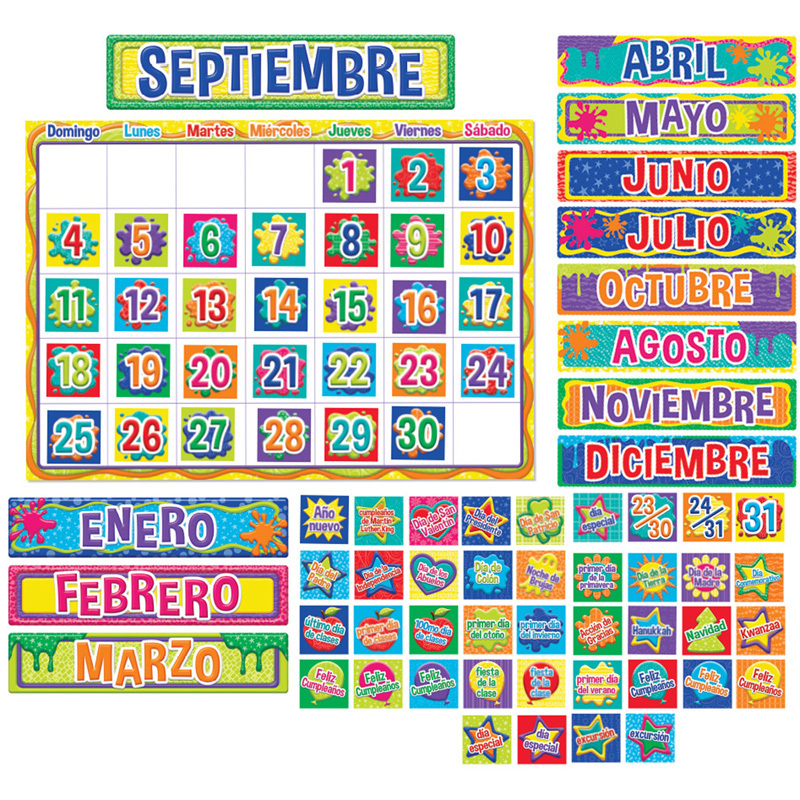 The Color My World Spanish Calendar Bbs can be found in our Classroom Theme product category within the Bulletin Board Sets.